Rieker Parrot 62459 womens wedge sandal. Manufactured from a high quality synthetic upper with elegant medallion detailing down the centre line. The elasticated heel strap allows the sandal to be slipped on and off with ease, while the elasticated side panels allow for adjustability and support. 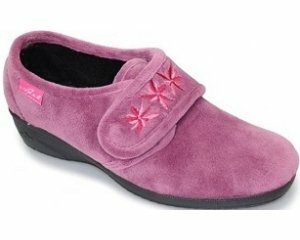 Comfortable and stylish, with a cushioned insole and Riekers Anti-stress technology that provides lasting comfort and shock-absorption. Rieker parrot is a feminine design with a heel height of 55mm making it a great all day wear.